Winter is coming, or so they say in Game of Thrones. But this winter, it will not be anything lurking in the dark pits of the forest, or any swordsmen to kill us, but our skin care routines. Many of us ladies make the colossal mistake of not fine tuning our skin care routine to fit each season. That, in turn, leads to our makeup suffering, and our overall quality of glam just plummeting to the floor alongside the temperature. But have no fear for winter’s coming; I am here to share with you the best beauty routine to keep your skin healthy and happy during these next few chilling months. 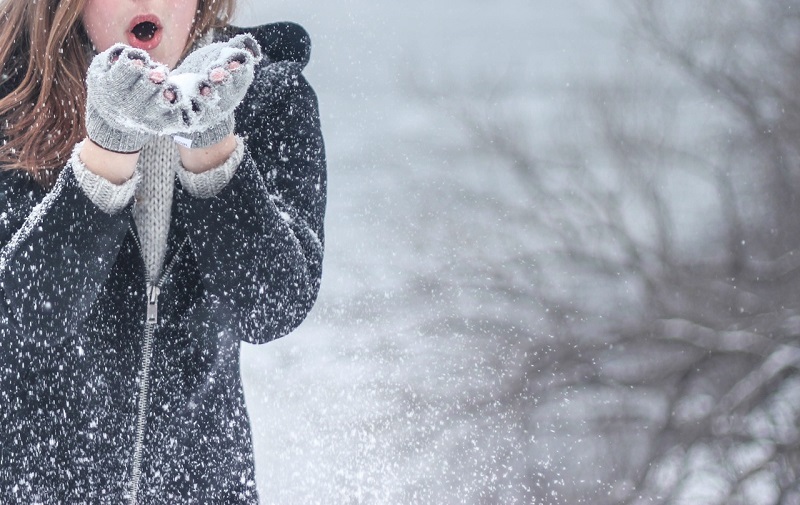 To begin, your skin’s moisture levels take a nose dive, courtesy of the frigid weather. But on top of that, you are taking long, hot showers, sitting in sweltering rooms all day, and using harsh soaps that can damage the health of your skin. To counteract this, first, you need to exfoliate. Yes, yes, I know, this sounds like the opposite of what you need to do, but trust me. As your skin dries out more and more from its harsh treatment, it stops shedding the dead skin cells, reducing the overall health and keeping your moisturizer from truly sinking in. So first, exfoliate. Next, obviously, is upgrading your moisturizer. You will need a richer face and body cream to keep your skin nice and soft. So when you are shopping around look for ingredients such as sorbitol or glycerin, which help pull moisture from the air into your skin, basically doubling the moisture your face gets on the regular. You should also look for something with SPF. Many of us forget about the sun during the winter, but yes, it is still there, and yes, it can still damage your skin. So look for something with an SPF of 30 or better (if you can find it) to best protect your skin. Oh and if you really want to keep it perfect and protected, you will need a day and night cream. No skimping on your skincare here, ladies. Lastly, lotion. Yes, this may seem obvious, but some of you may not know about the three-minute window. Studies have shown that applying your body lotion in a three-minute window after your (probably) hot shower is best. When you shower in hot water, it opens up your pores, giving lotion the chance to lock in as much moisture as possible before your pores close up shop for the night. It’s also best to apply it to damp skin. So jump out, pat yourself down, and slather yourself up to keep your body squeaky clean and sleek. Now that you know winter skincare basics better, go out and start searching for the skincare products you deserve, and make sure to keep up a constant, consistent routine to keep your skin healthy and glowing, even in the harsh winter. Your skin craves more attention during the cold months, so make sure you give tons of it.